Justice Dennis Archer was appointed to the Michigan Supreme Court by Gov. James Blanchard (D) in 1985. He was elected to the Court in 1986 and resigned in 1990. Justice Archer earned his teaching degree from Western Michigan University in 1965, after which he became an elementary special education teacher. 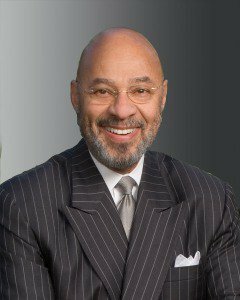 He earned his law degree from Detroit College of Law (now Michigan State University College of Law) in 1970 and became a partner in the firm of Charfoos, Christensen and Archer, PC. After resigning from the Michigan Supreme Court, he was was elected mayor of Detroit in 1993. He was re-elected in 1997 and served through 2001. He then became chairman of the Dickinson Wright law firm and President of the American Bar Association.